When it comes to makeup brushes, I can be a bit of a snob. I fully admit to being a squirrel hair, Japanese-made brush enthusiast who will spend somewhat mind boggling amounts of money on wands that ultimately just put powder on my face. Some people prefer to spend money getting their nails done every week or on expensive haircuts. I personally would rather have a good selection of excellent makeup brushes so to each their own. I'm listing the retail prices of all the brushes as a reference point in case you're interested in any. Note, I purchased all of these myself although some were bought during promotions which lowered the price. Let's start with my most recent brush acquisition: Wayne Goss' The Air-Brush ($35). I'll begin with my one gripe about this brush. It's limited edition and currently sold out. I don't know if they're bringing it back but if they do, I think everyone should have one. It's actually one of the most, if not the most, affordable blue squirrel hair face brushes I've seen. It's incredibly soft and, like all of Wayne's brushes, handcrafted in Japan. My main use for this brush is for blush because the small paddled shape fits perfectly on the apples of my cheeks. With this brush, I don't have to worry about overapplying my blush. It's also thin enough to add some highlight to the tops of my cheekbones if I wanted to multitask. My preferred brush for highlighting is the Wayne Goss 15 Brush ($25), a delicate fan brush that adds just enough luminosity to the cheeks without looking frosty. 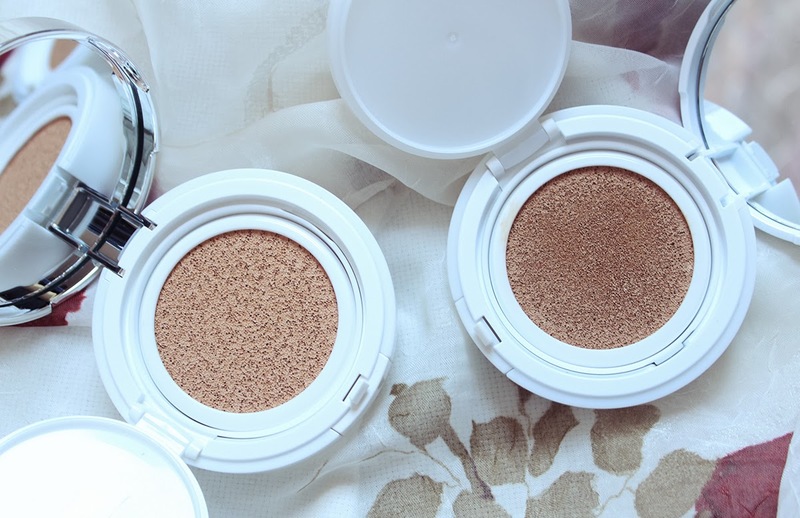 When I'm applying really pigmented powder highlighters like TheBalm's Mary Lou-Manizer or Becca's Champagne Pop, it's easy to go overboard and emphasize pores. This fan brush diffuses the pigment just right and is the perfect size for swishing along the high points of my face. 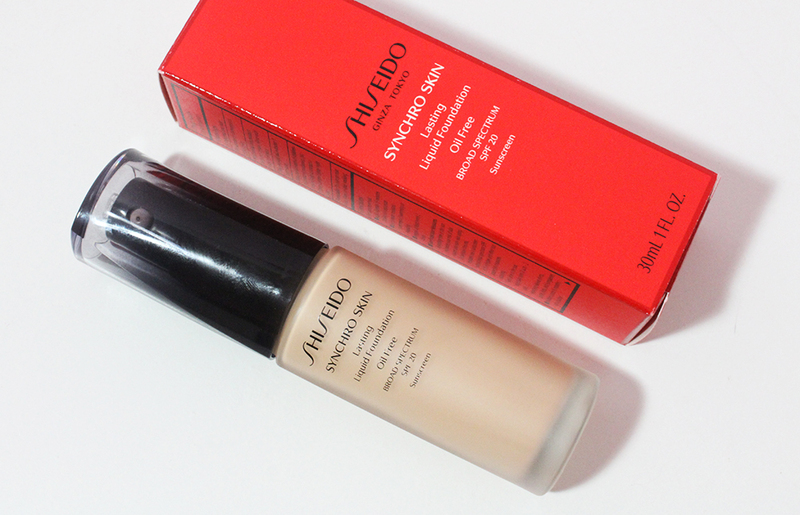 When I bought the Chikuhodo Takumi T-4 Cheek Brush ($52), I thought I was going to use it for blush. But the round shape and density didn't really lend itself to being a great blush brush for my needs since I prefer to pat on my blush. What this brush is excellent for is buffing in bronzer. This brush really unlocked my love for bronzer again because it blends in the color so well. The T-4 is large enough to cover the areas I want to warm and deepen quickly but it's not so fluffy as to darken my entire face. The Chikuhodo Takumi brushes are made of Saikoho goat hair which is one of the highest grades of goat hair due to its softness. I have a different favorite brush for contouring which is the Surratt Artistique Sculpting Brush ($90). This small angled brush made of squirrel and goat fibers is just the right size to fit in the hollows of my cheeks. I use this brush to apply cool toned contour powders because using a brush like the T-4 would make my complexion too ashy. The angled shape of this brush makes it easy to chisel my way to a slimmer face in no time at all. I love that Surratt is available at Sephora and I recommend holding out until the yearly 20% off sale to add these to your cart. To round out my top five cheek brushes, I've chosen an affordable synthetic brush to shake things up a bit. My favorite brush for cream blushes is the Bdellium Tools 954 Duet Fiber Slanted Kabuki Brush ($18). I almost always turn to synthetic brushes when using cream products because the fibers are more durable compared to delicate natural hairs. I really like duo fiber brushes for applying pigmented cream blushes because it minimizes the likelihood of over application. The white fibers pick up the product and the more tightly packed green fibers at the base help blend everything out. The size of this brush is perfect for applying blush as it's not too small or large. I also appreciate the shorter handle which is great for travel and allows me to get up really close to a mirror. 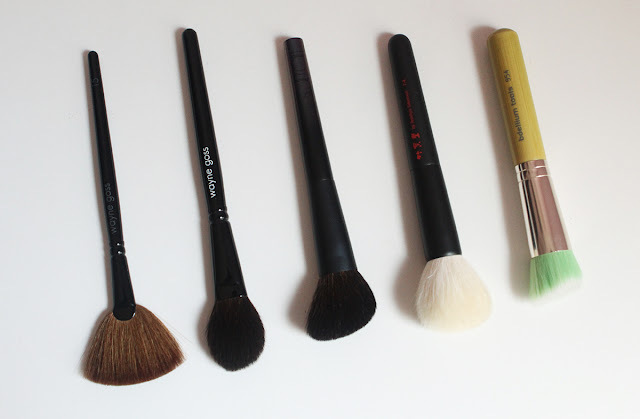 For those of you who appreciate the beauty of a well-made makeup brush, I hope you enjoyed this read on my top five cheek brushes. If you're just starting to build your brush collection, perhaps this helped you out as well. 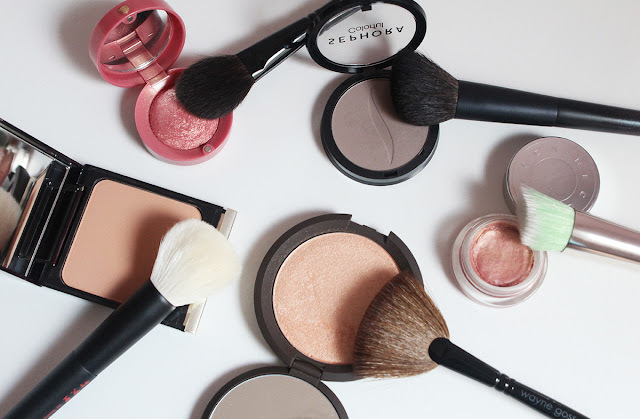 What are your favorite cheek brushes? Any I should add to my wishlist?